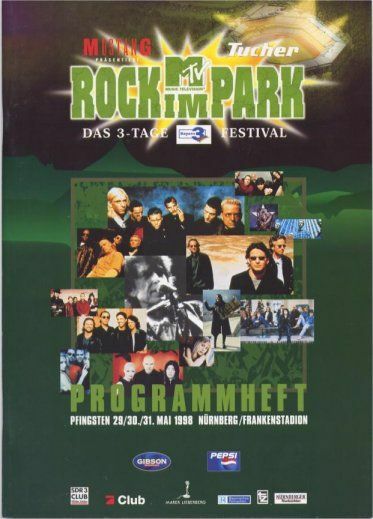 Rock im Park ("Rock in the Park") is a German music festival that takes place every year at the Zeppelinfeld in Nuremberg. The Zeppelinfield was the place where the Nazis hold their huge meetings in the 1940's. It is now a park.